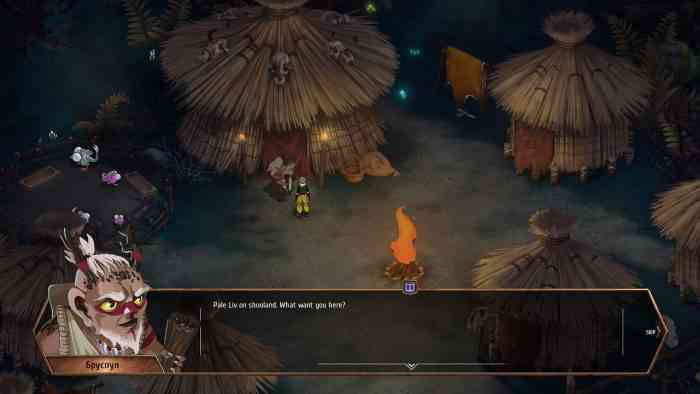 There are many RPGs where the main aspect of what people look for the characters. The biggest names that come from this would be characters from the Final Fantasy Franchise such as Cloud Strife or Tidus. 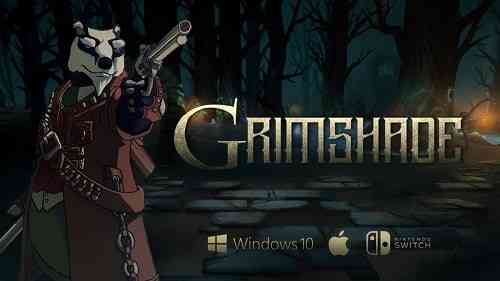 Grimshade attempts to be the next RPG game to try and stand the test of time. The story follows a man named Alister Garuda, stranded in a forest, where he happens to stumble upon Kiba, a boy who has no recollection of who he is or what he has become. Together they journey across the world of Ree’Fah where they become a part of unimaginable battles and recruit a variety of different characters along the way. You start game watching a cut scene of a town that is under attack by an unknown enemy force and a man fighting against a woman on a flying aircraft and falling towards the ground of a forest. You later find out that his name is Alistar Garuda and while traversing the forest Alister stumbles upon a boy named Kiba surrounded by dead bodies. Throughout the story, you will be in control of Kiba and will be put in situations where you can have a choice that will affect how you play. An example of this is that you are given option on multiple occasions where you can help your town’s military in defending against the enemy forces as well as monsters. You can either stop what you’re doing and assist them which will reward you with item to use later on, or you can choose to ignore them and continue with your main quest which will result in some of the townspeople dying and resenting you for not helping them. 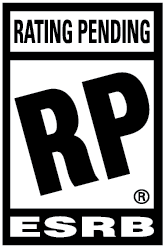 The game is a single player experience in which the first hour or so is incredibly enjoyable with the simple combat system with characters having a variety of skills. Sadly after another hour of gameplay you must pay attention to the dialogue between the characters in order to progress through the game any further. You can accidentally skip an important piece of dialogue and with the game’s autosave feature and the lack of a chat log to reread certain sections of text, you end up having to wander around the quest area hoping to find what you’re looking for. Newcomers and people who enjoy JRPG’s will enjoy the game but will lose interest quickly if they deem the dialogue as bland or boring. The controls are simple in which you just click where you want to go but the character will always move in a straight line and will stop once they collide with an object making the player click a numerous amount of times just to walk around said object. The combat and AI are subpar at best, since the player will always do the same thing: kill or stun the tank in order to hit the backline and get rid of the strongest enemy first. This is evident in almost every battle I was in. What doesn’t make sense is that the loading screen occasionally encourages you to devise their own strategies when battling. The problem with this is there’s a lack of abilities to choose from, as in there is nothing to choose but the starting abilities. It took me 1.5-2 hours into my playthrough to get another ability set for one single character. So every battle will start the same way and finish the same way for quite a while before you can actually create your own strategies. One of the positive outlooks this game gives is its stunning visual artwork which is all hand-drawn in order to add depth to the environment you explore. Nearly all of the scenery you come across has been drawn rather than generated which shows the dedication the artwork team had working on this game. Sadly the longer you play this game you start to see the visuals begin to get choppy despite maintaining the same frame rate and areas on the map that are not meant to be seen but still left out in the open. It was hard to find a deeper meaning in this game other than forging bonds with your party or Alistar being a child despite his age. While the conflict was meant to be serious, it just feels completely bland and it doesn’t seem to really affect the player no matter what decision they decide to go with. Grimshade has stunning visuals for an RPG game. Additionally, it has an easy to play combat system and a wide array of characters with different backgrounds and personalities. Sadly, the negatives outweigh the positives due to the fact it’s incredibly story dependant, meaning you can get lost easily mid-quest if you are not invested in the story. The combat is predictable and there are game bugs that will make you restart the game and by extension the battle itself. Lastly, the choppy visuals are a little tough to digest.